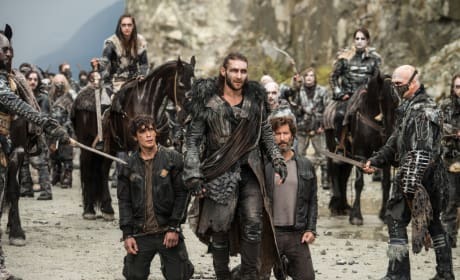 Roan seems ready to attack, so I'm guessing his tête–à–tête with Clarke is going to go south very quickly. 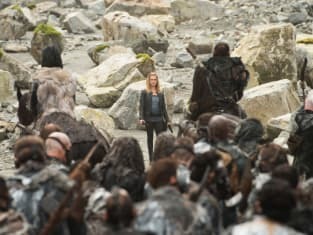 It doesn't seem like the meeting between Roan and Clarke is going very well. 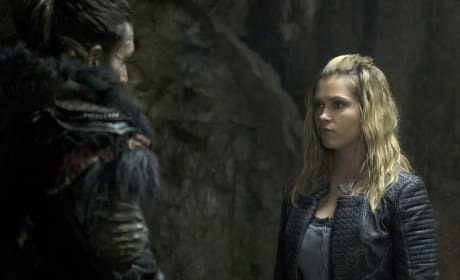 Clarke, at the very least, doesn't look pleased with the fact that Roan has turned on her so quickly, due to what is basically a misunderstanding. 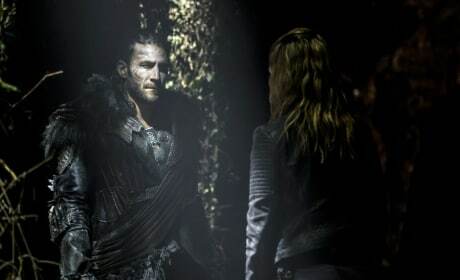 Roan grants Clarke a private meeting. But will she be able to reason with him? 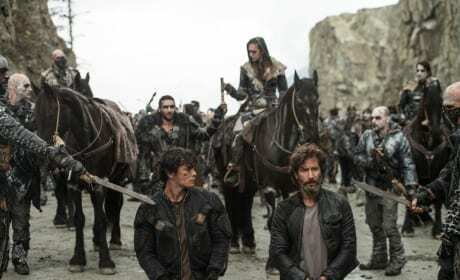 As seen in the promo for "The Tinder Box," Clarke has a decision to make between saving Bellamy and Kane, and taking Roan out. What will she choose? 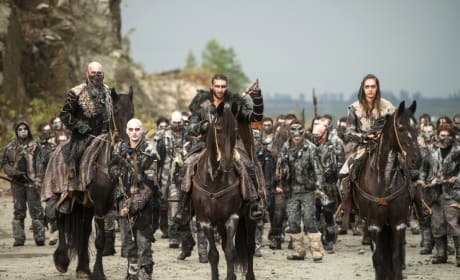 With Abby away at Becca's lab and Kane being held hostage, Clarke is naturally in the position of being the Skaikru leader to negotiate with Roan and his army. 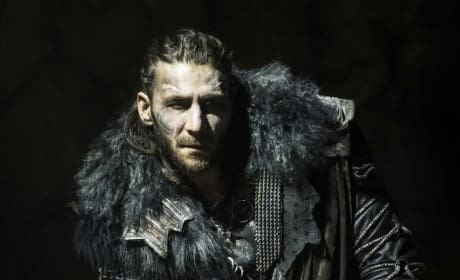 Though Roan worked well alongside both Kane and Bellamy in the past, he's turned on both fairly quickly. There seems no doubt now that he'd execute both at a moment's notice. 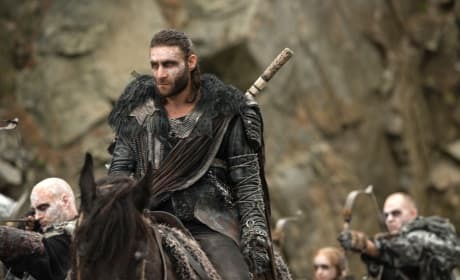 Roan (and his army) didn't come to Arkadia alone. They brought along two very valuable Skaikru hostages. 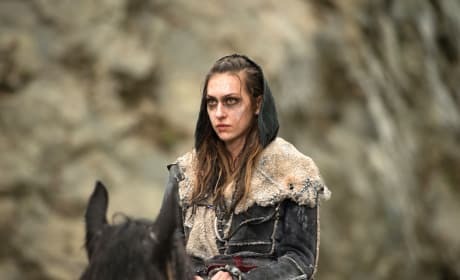 Echo never trusted the Sky People (or Clarke), so it's easy to imagine that she was thrilled at finally being able to convince Roan to turn on them. 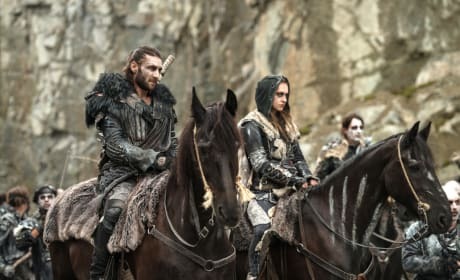 Roan was committed to maintaining peace with Clarke and her people, at least until the discovery that Alpha Station was being fortified – and could only sustain 100 people. Echo and Roan, side by side, are commanding the Ice Nation army as it marches on Arkadia. 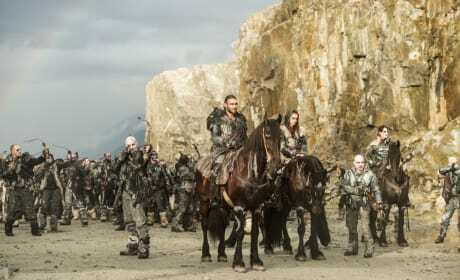 Clearly, Ice Nation is ready to attack at a moment's notice, on Roan's command. The hatred for Skaikru is real. The Azgeda warriors are all decked out in their best war paint, looking particularly menacing.